When you’ve already got an incredible vehicle on your hands, one that has taken everything that the engineers learned from the first several years of its life and ramped them all up to create an even better second-generation model, it’s hard to imagine topping it. Yet, just a few months after the original model’s introduction, Lamborghini did the one thing that could make the Huracan EVO even better… they made it a convertible. Introducing the 2020 Lamborghini Huracan EVO Spyder in North Miami Beach FL! If the EVO was the next step in the Huracan’s evolution, this is the next-next step. The Huracan Spyder was the convertible model that followed the Huracan’s introduction several years ago, so this is a natural progression. The EVO Spyder is almost an identical vehicle to the regular EVO coupe, with the exception of the things that make it a convertible. The Huracan EVO is packed with evolutionary technologies that represent the next step in Lamborghini’s history of V10 models, and the EVO Spyder utilizes those same technologies. It simply combines them with the appealing option of open-air driving, and what better vehicle is there in which to opt for open-air driving than a high-performance Lamborghini model? The incredible aerodynamics and driving prowess make the EVO an exciting drive already, add the wind in your hair and you’ll enjoy every single second that you’re on the road. Just to refresh your memory, the Huracan EVO and EVO Spyder are powered by a 5.2L naturally-aspirated V10 engine capable of generating 640 horsepower alongside 442.5 pound-feet of torque. That enables the EVO Spyder to hit 62 miles per hour in just 3.1 seconds before moving onto 124 mph in 9.3 s. Additionally the EVO Spyder has a top speed of 202 mph and can come to a complete stop from 62 mph in just 105.6 feet. 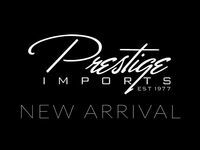 If you’re interested in a 2020 Lamborghini Huracan EVO Spyder of your own, be sure to get in touch with us right here at Prestige Imports right away!